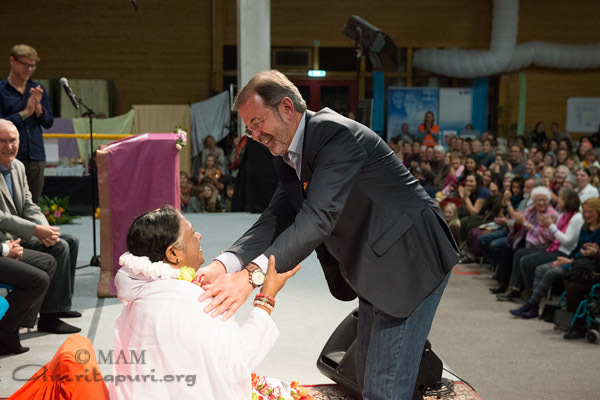 For the first time ever, Amma held a programme at MA Center Germany. 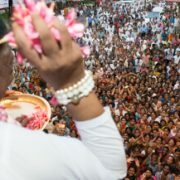 It so happened that the programme started on the auspicious day of Vijayadasami. 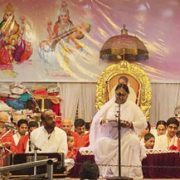 On this day, while giving darshan, Amma did not forget to initiate Her children in India into letters through a webcast. 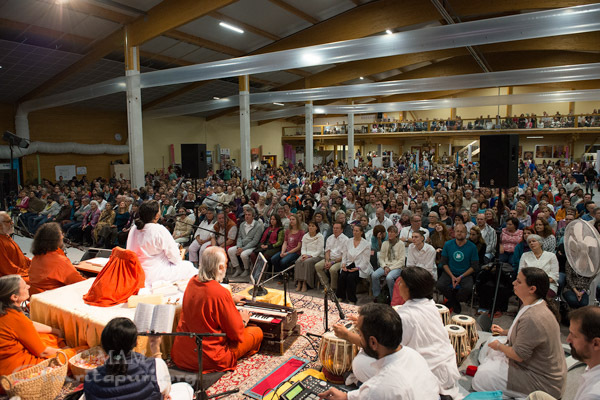 The darshan hall was packed with devotees on all the three days as people came from all parts of Germany and the surrounding countries. 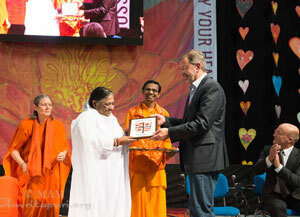 Rebecca Horn, the world renowned visual artist, was among the dignitaries who came to see Amma. 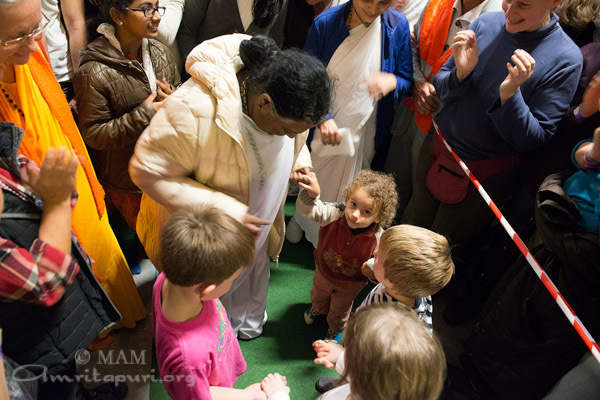 It had been the dream of many devotees in Germany to finally welcome Amma in her own center. For years, the residents and other well wishers of Amma had been engaged in planning all logistics and constructing a brand new event hall, with the capacity to host 2,500 people. 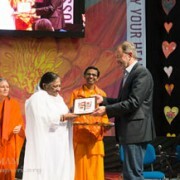 It had indeed been a challenge to create the right infrastructure for a large international event like Amma’s programme to be hosted in the small town Brombachtal. 600 volunteers from across Europe came to help make this dream a reality. Many aspects required specific solutions, for example the parking: due to restrictions in parking slots, a car-sharing system had to be implemented, transporting people from the neraby town Michelstadt, where the main parking facilities were located. 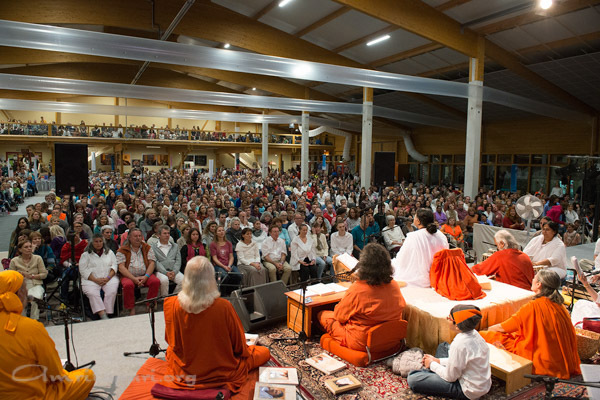 The system worked perfectly well and many people even remarked what a nice opportunity ot was to get to know other devotees of Amma during their shared car ride to the center. 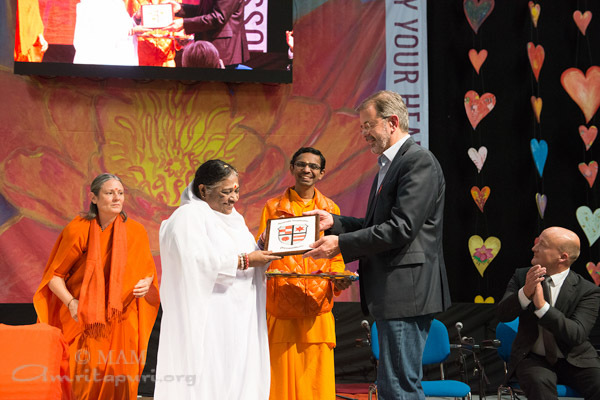 The mayor of Brombachtal, Mr. Willi Kredel, welcomed Amma to his village: “I have to say: Wow! We don’t have something like this every day. 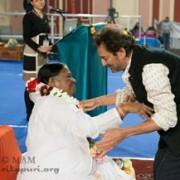 It makes me proud and happy to have Amma here, such an extraordinary benefactor of human kind. If we look at all the humanitarian activities such as hospitals, orphanages, disaster relief….the list is endless we need to bow down in honor and respect. I am delighted to have her here in my province. Since 2005, MA Center Germany hosts the annual AYUDH youth summit, where young people from all over the world get together, discuss and take local action to address global issues of concern to them. 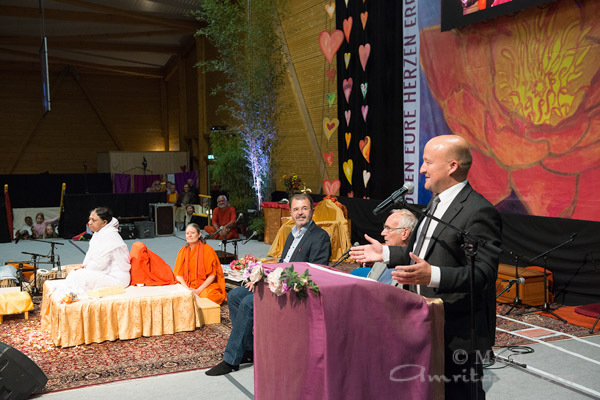 As part of the summit, AYUDH collaborates with the municipality of Michelstadt to implement at least one regional service project every year. 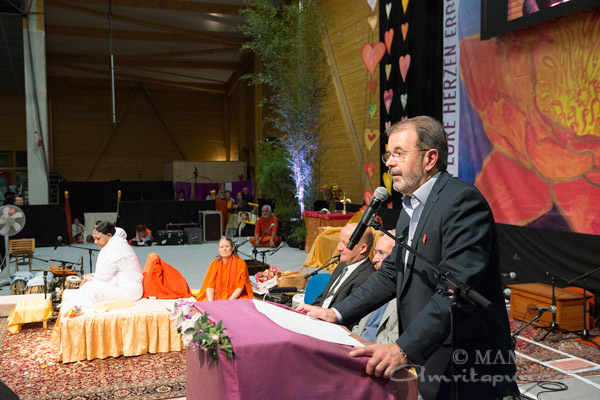 In this way, a mutually enriching relationship between MA Center and the city of Michelstadt has developed over the years, introducing many people in the region to the humanitarian work and message of Amma. 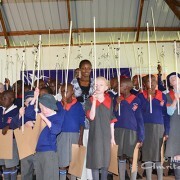 The mayor of Michelstadt, Mr. Stephan Kelbert, remarked: “I am deeply moved by my experience today. As Mayors we have to face a lot of challenges during the year. But we are also lucky to have such occasions where we have the pleasure to welcome and meet Amma. I also express gratitude for all the beautiful moments I have experienced already while collaborating with Amma’s Youth Organization AYUDH. I really look forward to collaborate and host many more events together in the future. 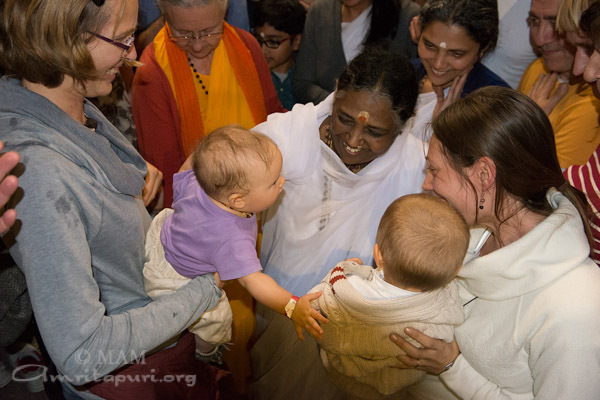 As Amma left the hall, one could see the eyes of Her children filled with tears of gratitude.